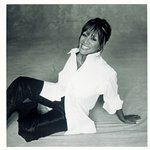 To kick off Lung Cancer Awareness Month this November, the American Lung Association's LUNG FORCE initiative, nationally presented by CVS Health, has announced its partnership with Grammy Award-winning singer Patti LaBelle to further educate the public about lung cancer, the leading cancer killer of women in the United States. Personally affected by lung cancer, LaBelle hopes that lending her powerful voice to the cause will encourage all women to learn how they can make a difference in the fight to defeat lung cancer, which claims the life of one woman every eight minutes in the United States. Raising awareness is critical as only 1 percent of American women even have lung cancer on their health radar. Over the next several months, LaBelle will be working closely with LUNG FORCE to create a short film unveiling how lung cancer has affected not only her life, but the lives of many other people. The short film will be officially debuted during National Women’s Lung Health Week, beginning May 8, 2016. Unfortunately, most lung cancer cases are not diagnosed until later stages when treatment options are limited. More early detection methods are needed. For the more than 100,000 women who will be diagnosed with lung cancer in 2015 alone, more personalized treatment options are needed to save lives. That’s why from now through November 17, LUNG FORCE is encouraging Americans to support critical lung cancer research with online donations. 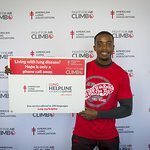 Supporters can donate and share their voice at LUNGFORCEday.org. On November 17, the designated LUNG FORCE Giving Day, Cancer Treatment Centers of America, a national network of five hospitals that serves adult patients who are fighting cancer, will match every gift to Giving Day, dollar for dollar, up to $100,000. A donation supports the American Lung Association’s investment in lung cancer research and public health promotion, including early detection, clinical trials, biomarker testing, advocating for more federal research funding and the overall mission of the American Lung Association. According to the American Lung Association’s newly released 2015 Women’s Lung Health Barometer, only a quarter of women at high risk have spoken to their doctor about their lung cancer risks. Greater awareness about screening options and early detection can save lives. That’s why LUNG FORCE is raising awareness among women and men everywhere to learn their risks and share their voice to defeat lung cancer. •	Even though lung cancer is the #1 cancer killer of women, killing almost twice as many women as any other cancer, only 1 percent of women have it on their health radar. •	Lung cancer diagnoses have more than doubled among all women in the past 35 years, but only a third of women are aware of this fact. •	While fewer than one in five women have spoken to a doctor about their risk for lung cancer, 77 percent say they are likely to talk to their doctor after they learned more about the disease, underscoring the need for more education. •	Almost all women (83 percent) believe it is important for policymakers to increase funding for lung cancer research. Awareness and education about the disease are also critical, especially in diverse populations, as only one in four African-American and Hispanic women know that lung cancer kills more people than breast cancer, colon cancer and pancreatic cancer combined. •	And donate to LUNGFORCEday.org. You can also commit to fundraise and rally friends, neighbors and colleagues to stand together and fight lung cancer at a LUNG FORCE Walk. Find out more at LUNGFORCE.org/walk.